This is a family tradition each holiday season. It is my grandma’s version of Cream of Onion soup. 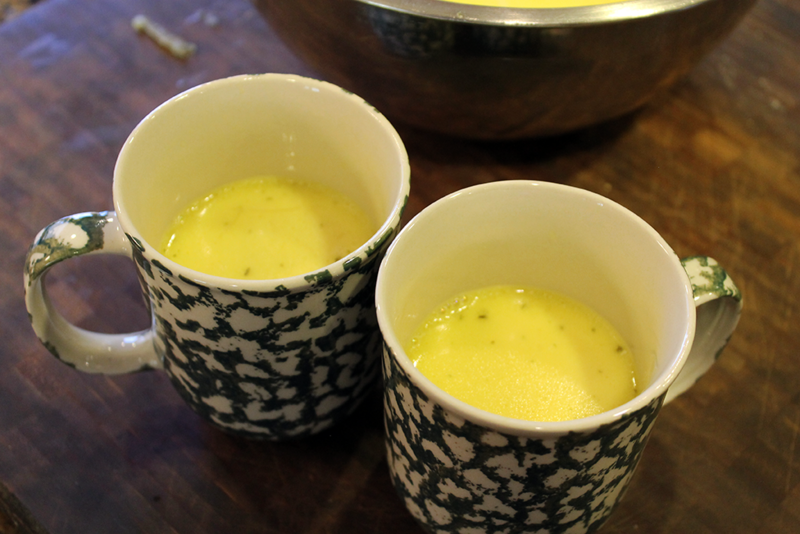 It is a light creamy appetizer soup. It is delicious. Perfect to warm you up after coming inside from the snow. I went over to my grandma’s to learn how to make it and was surprised on how easy it was. We serve it in mugs and just drink it! Cook onions and butter for 10 minutes in, stirring constantly. Add chicken broth and cook slowly for 30 minutes. Strain out onions. Add half & half. Heat slowly; do not boil. 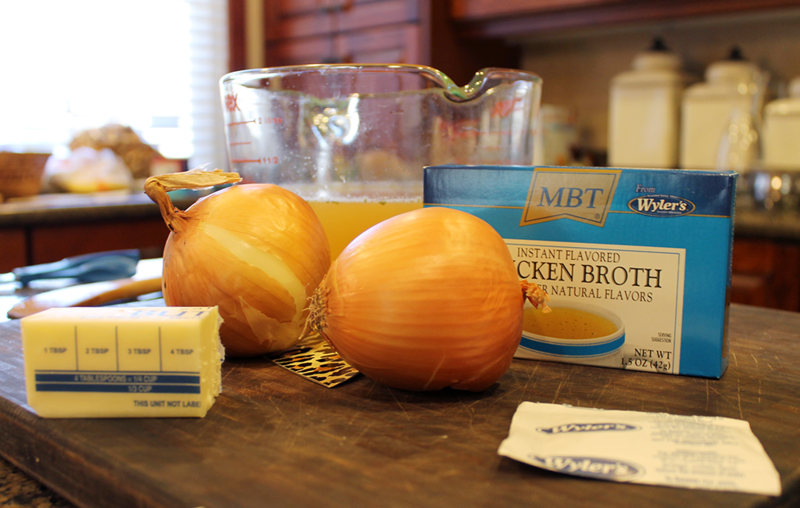 ** MBT chicken broth packets are great! They are a bit hard to find, but well worth it. We swear by them at my house. You can buy them on Amazon in bulk. 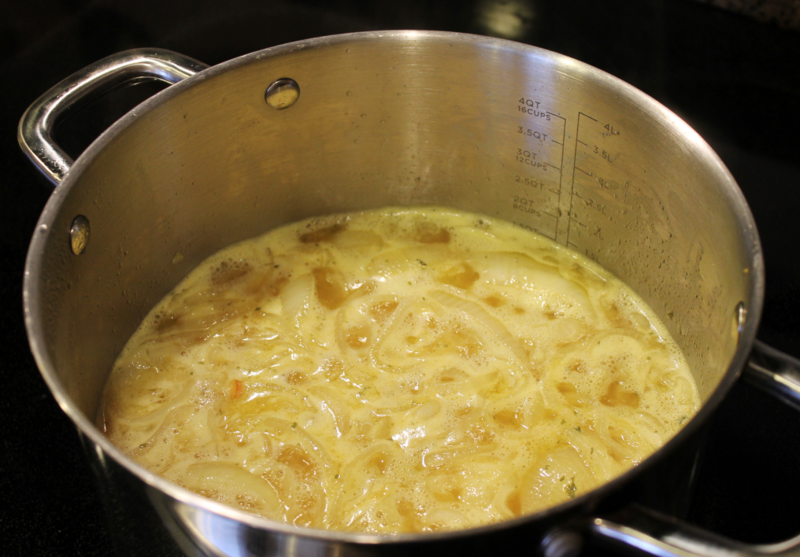 They are the key ingredient for this onion soup.